If you're like me, there is only one thing that keeps clean eating a sustainable life choice - and that is a treat! We all have different cravings for things, but mine is for anything sweet, particularly freshly prepared desserts. So perhaps it's time to indulge your cravings, to control them, by having a small daily treat. 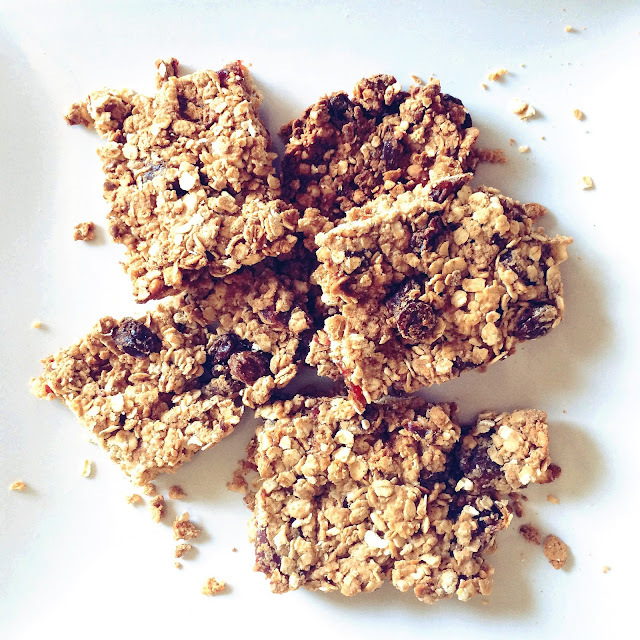 And what better than a treat that is sweet, full of energy & 100% clean? A perfect pre gym energy boost or a well earned post gym recovery snack. 1. Preheat your oven at 220 degrees celsius. Melt together the peanut butter & honey in the microwave, stirring at 45 second intervals, until liquid becomes smooth. 2. 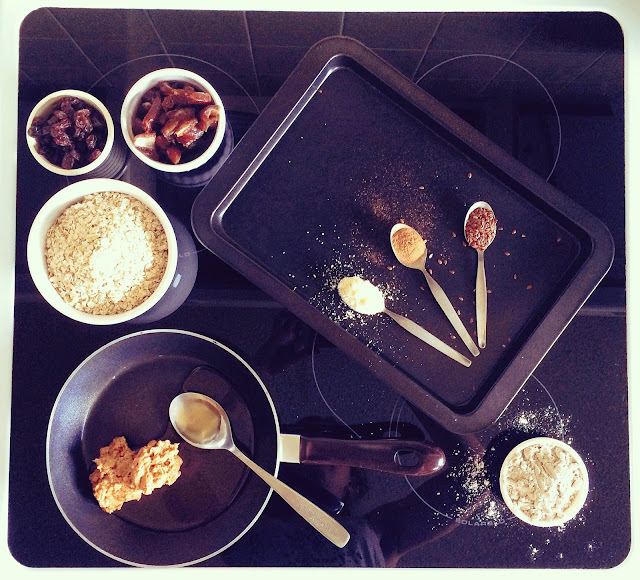 Mix together all dry ingredients - oats, dates, almonds, seeds, cinnamon, raisins & protein - in a separate bowel. 3. Slowly mix in the dry ingredients into the liquid, until all is evenly covered. 4. Spray a baking tray with coconut oil or use grease proof paper. Evenly lay your mix on the baking tray & bake for 20mins, checking half way. It will depend on how thick your bars are, as to how long you need to cook them. Cook until oats are brown. 5. Allow it cool, then cut into 16 bars & enjoy!